Porsche has unveiled its plans to build an all-electric car aimed at challenging Tesla’s dominance of the battery-powered sports car market. The German automaker said it would create more than 1,000 jobs via a €700 million investment in new facilities and assembly line. Porsche’s Mission E, revealed as a concept car earlier this year, is due to go on sale by 2019. The four-door car’s range will be 310 miles, and hit 62mph in 3.5 seconds. 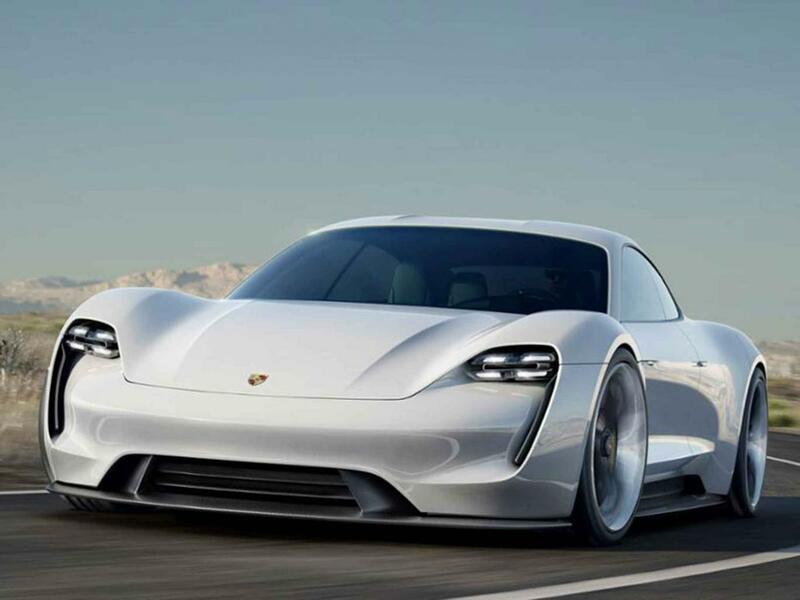 This pitches the Mission E – a name unlikely to stay once the launch date nears – against Tesla’s powerful Model S.
Porsche is owned by Volkswagen Group, currently embroiled in Dieselgate scandal, which has said it would invest in a range of all-electric and hybrid vehicles across its brands over the next few years. Dr. Oliver Blume, chairman of Porsche’s executive board said putting Mission E into full development was the “beginning of a new chapter in the history of the sports car”. Porsche said the car would be charged via an 800-volt unit specially developed for the vehicle, which is twice as powerful as today’s quick-charge system. The lithium-ion batteries integrated within the vehicle floor will have enough power for 80% of its mileage range after 15 minutes charging, Porsche said in a statement. The vehicle can optionally be “refueled” wirelessly by induction via a coil set into a garage floor. The four-seat car features energy storage technology derived from the Le Mans-winning Porsche 919 Hybrid race car. The €700 Mission E investment was part of a €1 billion spending plan on new facilities announced by Porsche on December 4.